The lives of Abraham Audet dit Lapointe and Anastasie Harvey in La Malbaie and Kamouraska. Our great-great grandfather was a master blacksmith and prominent farmer and land owner. 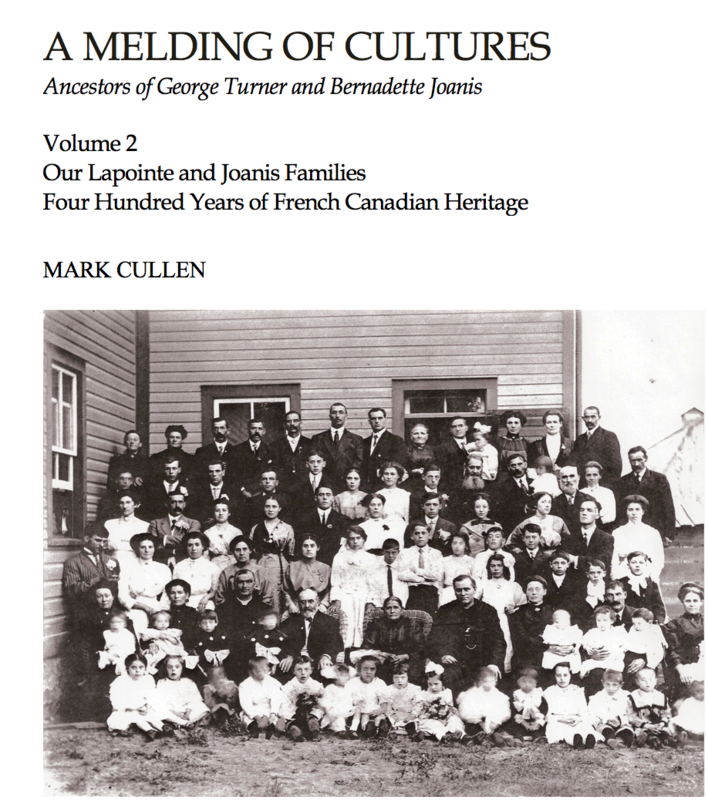 Excerpt from A Melding of Cultures Ancestors of George Turner and Bernadette Joanis, Volume 2: Our Lapointe and Joanis Ancestors Four Hundred Years of French Canadian Heritage, Mark Cullen, Vancouver, 2018, pp 50-56, 152-160 and 56-257. [S57] Ancestry.ca Drouin Collection, Quebec, Vital and Church Records (Drouin Collection), 1621-1967 LaMalbaie, St-…tienne, 1805, page 2. [S57] Ancestry.ca Drouin Collection, Quebec, Vital and Church Records (Drouin Collection), 1621-1967 LaMalbaie, St. Etienne, 1886, page 25. [S41] Ancestry.ca, Quebec, Vital and Church Records (Drouin Collection), 1621-1967 LaMalbaie, St. Etienne, 1886, page 25. [S41] Ancestry.ca, Quebec, Vital and Church Records (Drouin Collection), 1621-1967 LaMalbaie, St. Etienne, 1823, page 17.